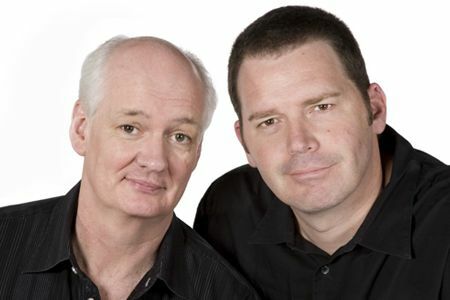 Armed with nothing but their sharp wit, comedians Colin Mochrie and Brad Sherwood take to the live stage to create hilarious and original scenes in their two-man show. Known by TV audiences for their work on Whose Line is it Anyway?, Colin & Brad improvise new material every night from audience suggestions and participation. “Interactive” in every sense of the word, Colin & Brad will take the audience on a comedic high-wire act… just like a live version of Whose Line! Get ready for a night of non-stop laughter for all ages! Learn more at colinandbradshow.com.